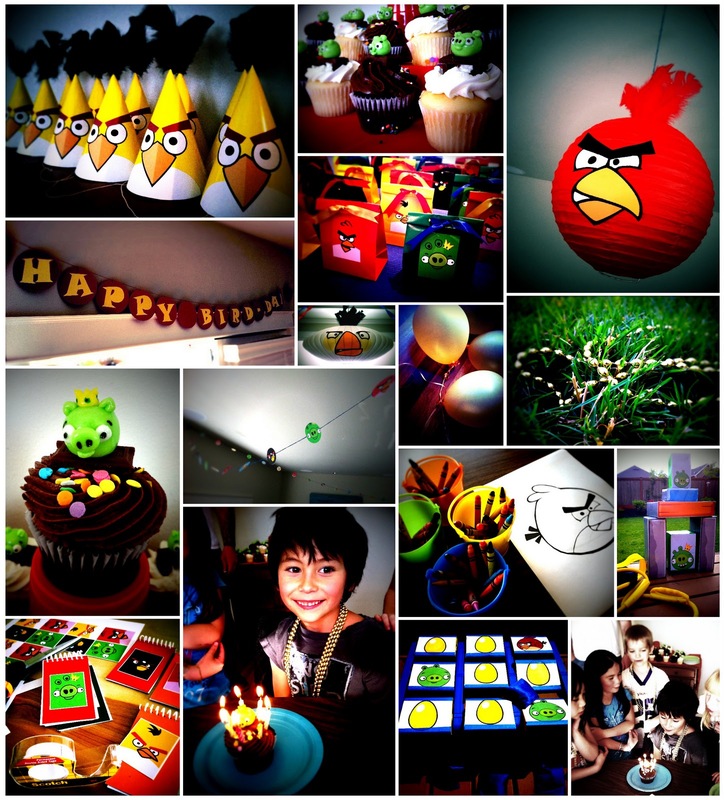 After about a month of planning, we were finally able to celebrate my son's birthday in true Angry Birds style! Below, you can find links to many of the projects that went into creating this party. Enjoy! The kids seemed to have a fun time. 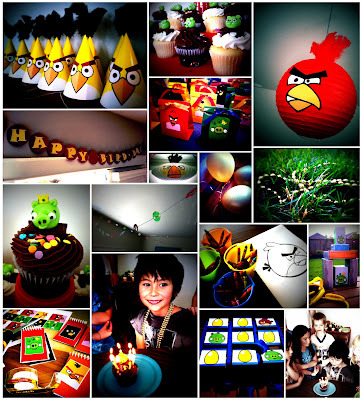 They loved participating in all of our Angry Birds activities and eating the pigs off of their cupcakes. My Birthday Boy had the privilege of eating King Pig, of course! I consider it party success! *Update: I created Angry Birds thank you cards in August. Check 'em out! You can never get enough Angry Birds! :) Thanks for sharing.